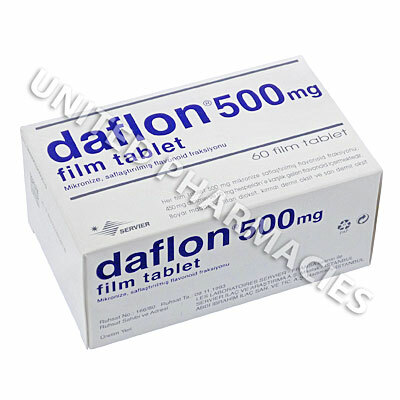 Daflon (Diosmine/Hesperidin) has a wide range of uses, which include treating hemorrhoids, problems related to circulation, varicose veins and certain bleeding problems that can affect the eyes or gums. 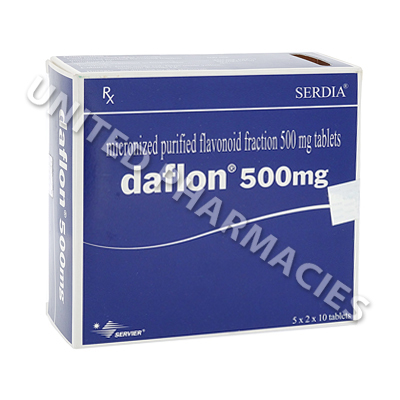 Daflon (Diosmine/Hesperidin) has a wide range of uses, which include treating hemorrhoids, problems related to circulation, varicose veins and certain bleeding problems that can affect the eyes or gums. It is a widely held belief that this drug treats hemorrhoids by reducing swelling and restoring the normal function of the veins. Other conditions which this medicine has been used to treat include swelling of the arms (lymphedema) caused by surgery, and it has also been taken as a preventative measure against liver problems. Diosmin (one of the ingredients in this product) is a type of plant chemical found in citrus fruits, and it is also combined with another plant chemical known as hesperidin. Recently, this medicine has generated a considerable amount of attention, due to reported benefits in the treatment of Alzheimer`s disease. 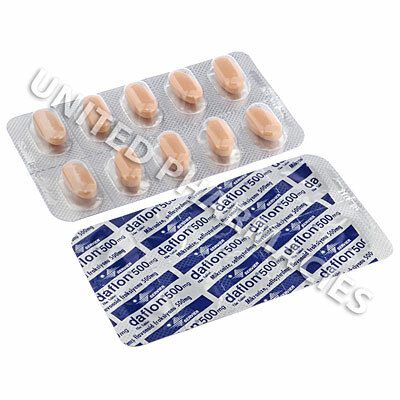 Consult your physician before taking Daflon (Diosmine/Hesperidin) tablets, so that a suitable dosage regimen can be prescribed for you. It is important to note that the dosage required can vary for each individual, depending on the condition being treated. Internal hemorrhoids are usually not treated with the same dosage as that required for preventing hemorrhoids. Other conditions may also require different dosage regimens. You must strictly follow the instructions given by your physician, and never take more than the prescribed dose. 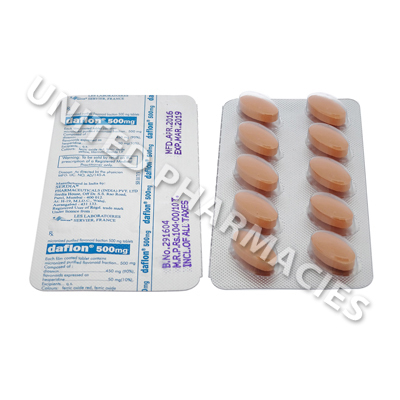 Daflon (Diosmine/Hesperidin) can cause side effects. Patients have reported abdominal pain, headaches and diarrhea. If your physician deems it necessary for treatment to continue for more than 3 months, you will need to be supervised. Remember that if any severe side effects are noticed, you must seek medical care immediately.